You love chocolat? I too! So I create my own special one. 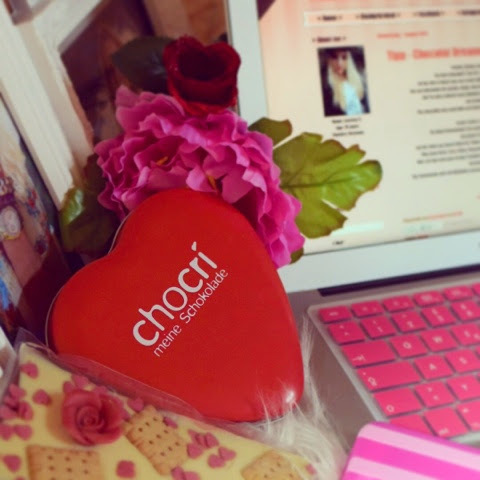 On the site of chocri you can create tablets, pralines and co, designed by you. You can determine the variety, shape, decoration, packaging, and of course ingredients. The chocolate was send with cool batteries, so no worry that the chocolate melts. Auf der Seite von chocri könnt ihr Tafeln, Pralinen und co. ganz einfach selber kreieren. Man kann Sorte, Form, Dekor, Verpackung und natürlich auch Zutaten bestimmen. Die Schokolade wird mit Kühlakkus gesendet, also keine Sorge, dass die Schokolade schmilzt.